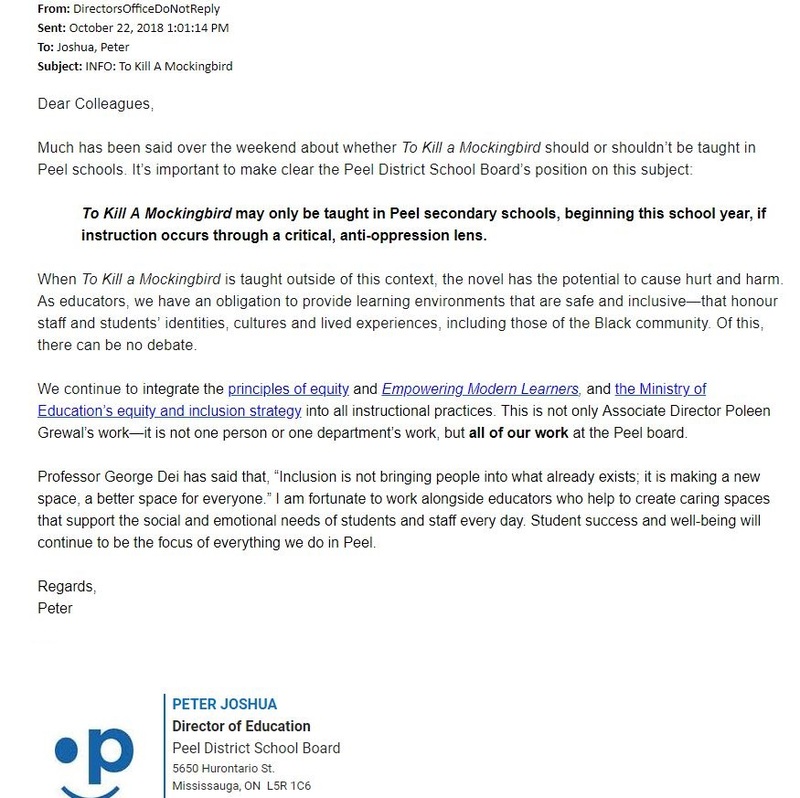 A Peel district School Board email was forwarded to my attention – The Equity Poobahs have spoken! To Kill A Mocking Bird is RACIST! No doubt that horrid dead white male Shakespeare is next on the hit-list. I’m pretty sure Harper Lee would have told them to Go F$ck themselves.